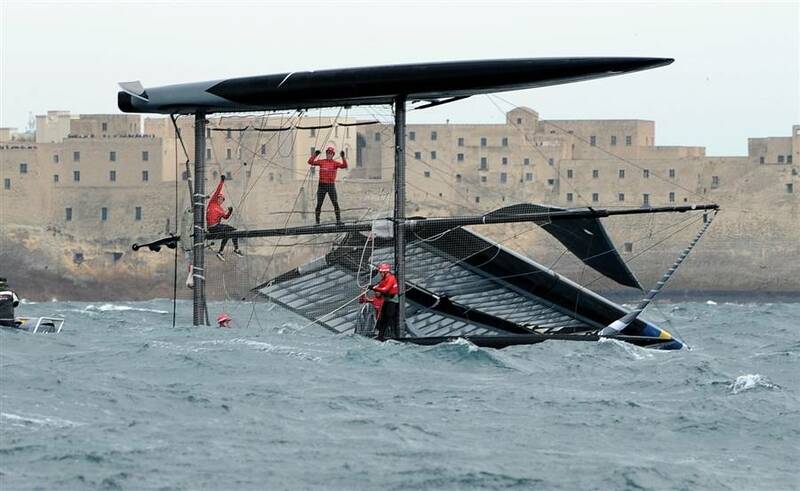 After four days of trainings and trial regattas, the America’s Cup World Series 2012 in Naples (April 11-15) has finally started. He then added “Naples is presenting its best to the world, thus relaunching the image of Italy in the globally. Our Prime Minister, Mario Monti, is doing that in China and in other countries, and we are doing it too, from Naples.” Luigi Cesaro, the President of the Campania Province also had his say. “We have the opportunity to flaunt our city to the world and the international press,” Stefano Caldoro, president of the Campania Region said at the opening of the America's Cup World series 2012 at the Public Race Village, set up in the majestic Villa Comunale. Naples is “a city with an immediate beauty, full of hidden treasures over and underground, with a maze of alleys in the historical center, as well as centuries-old layers of history and civilizations that have evolved into today’s Neapolitan culture. Visiting Naples means plunging into its cultural and artistic identity, written in its many museums, castles, churches, squares and narrow streets: from the majestic fortresses of Castel dell'Ovo and Maschio Angioino to the baroque style of the Decumani, the ancient peri-meter of the town, to the 17th century cloister of San Lorenzo Maggiore and the monumental squares Piazza del Plebiscito, Piazza del Gesù and Piazza San Domenico. A world-famous tourist resort, the Neapolitan coastline counts numerous beaches and spectacular cliffs, from Posillipo to Marechiaro, including the beautiful Gaiola and Coroglio sandy beaches. Several yacht clubs offer activities such as canoeing, sailing and water polo. But there is much more to do, from shopping in traditional tailoring ateliers, modern interior design galleries, antique furniture shops and open-air markets, to visiting churches and archeological sites. One thing is mandatory: have a Neapolitan coffee. 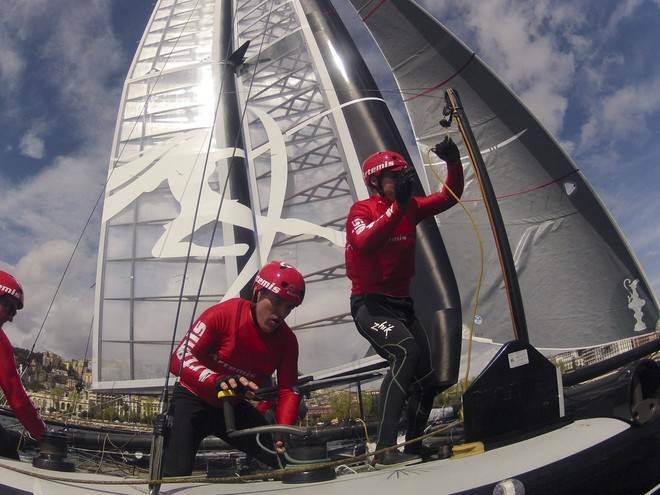 The America's Cup has brought something new to Naples, and new people are coming to visit. 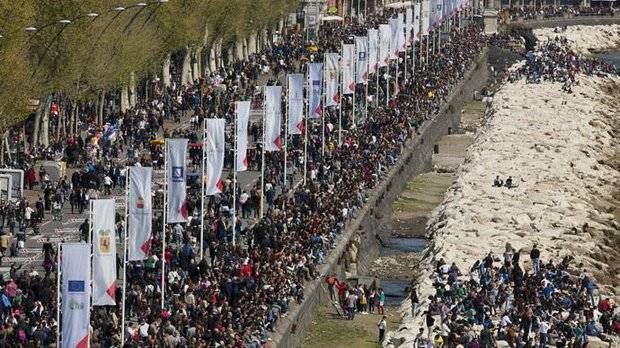 Around a quarter of a million people went to the area of the Race Village on Easter Monday to sample the atmosphere created by the America's Cup. The Race Village opened on April 7th and it offers a rich program of activities, music shows, exhibitions and more. Among the artists performing, international musicians, Roy Paci and Enrico Rava, comedian Stefano Nosei and singer Francesco Renga. While on Sunday, April 8th at 9pm, the city hosted the opening ceremony, which welcomed competing teams, music and special lights effects. The church and colonnade of San Francesco di Paola was be the backdrop, despite the rain, for a show starring the Bay of Naples and featuring lights and 3D projections that will transformed Piazza del Plebiscito into a virtual aquarium. Created by artistic director Lida Castelli, residents and tourists experienced a fantastic visual effect that brought the sea into the streets. “People here are so welcoming, it is unbelievable,” James Spithill of Oracle Racing said at a meeting held at the Racing Village with the local crowd. He even took part of in a different kind of activity, he made a real Neapolitan pizza (with the help of Paolo Graziano, CEO of ACN). Paolo Graziano, and Iain Murray, Regattas Director for the AC World Series, and the skippers Dean Barker (Emirates Team New Zealand), James Spithill (ORACLE Racing), Terry Hutchinson (Artemis Racing), Darren Bundock (ORACLE Racing), Yann Guichard (helmsman, Energy Team), Fred Le Peutrec (China Team), Max Sirena (Luna Rossa), Chris Draper (helmsman, Luna Rossa), Paul Campbell-James (helmsman Luna Rossa) and Nathan Outteridge (Team Korea) were cheered by the crowd at the opening ceremony. The race course is visible along the entire waterfront of the city and the promontory of Posillipo is a privileged viewing spot. Starting April 7th it was possible to watch the trainings and the races from offshore, very close to the race course on the spectator boats. The official boats host up to 300 guests and are the only boats allowed in the area close to the race course. This is a unique chance to enjoy the races from a privileged spot! The boarding take places every day from the pier ‘Molo Lauro’ on Via Caracciolo. 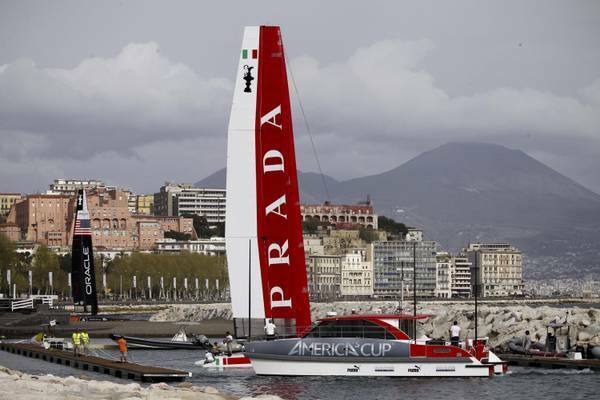 The America's Cup will move to Venice May 15-20th.